Position: President of Wagner Roofing Co., a roofing and sheet metal contractor based in Hyattsville. Dean Jagusch developed an interest in the trades at an early age as he helped his dad around the house. After high school, he began a four-year apprenticeship at a plumbing company, and eventually worked his way to lead a $3 million contract for a plumbing company. A competitive triathlete, he decided to take a few years off to compete in races in the United States. Seeking a more stable income, Jagusch left racing and worked for a sheet metal mechanic company in Baltimore for 11 years, becoming a regional president, before arriving at Wagner Roofing, where he’ll be the first non-family member president in the company’s 100 year history. One of the biggest concerns I had was the company had taken on the personality of Chuck Wagner, who ran the company for the last 25 years. I knew that would be an issue. I want to be cognizant of the stewardship required of me in this role. I also know that I have to add my own style and dimension. How will you navigate that? The company already has a culture and style of its own. I’m trying to impart my style into it. A lot of it comes down to being given the reins to interact with the people on a consistent, day-to-day basis so that everyone gets used to it. The goal is to grow. 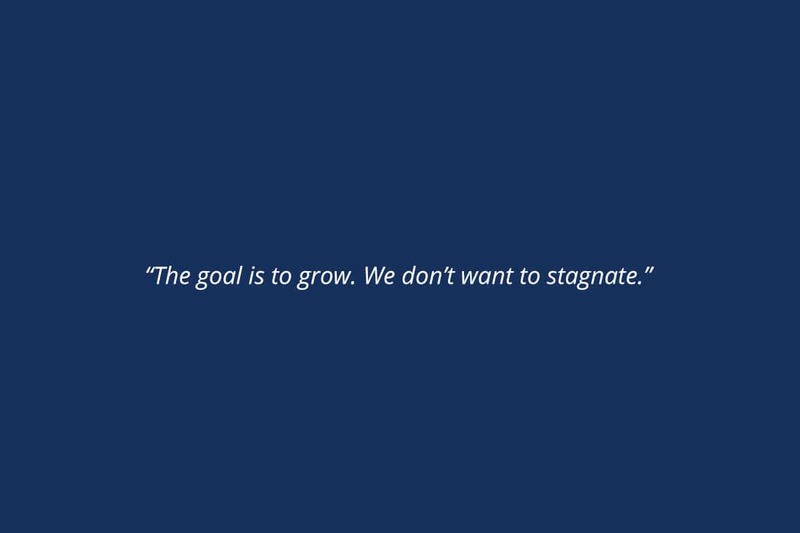 We don’t want to stagnate. As he takes less of a role and I take more of a role, the hope is that the business will continue to grow as it has done for the last 100 years. You’ve mentioned that the trades are not valued the way they should be as a viable career option. Why is that? There’s not a lot of emphasis in the school system on vocational trades. In general, it’s seen as a second-string opportunity if someone doesn’t have the means to go to college. There’s a social stigma against it. There’s a class system that exists. How are you fighting against that? Through a number of channels. I’m involved with the National Roofing Contractors Association. I’m the vice president of the Mid-Atlantic Roofing Contractors Association. We’re trying to lift the profile of the way contractors are seen. As an association, we want to provide our members with the tools to provide training to their personnel and identify people for the business. You took a few years out of your career to compete in triathlons. Any parallels between racing and leading in business? There’s a discipline side of it. I like to be very structured even now. I try to run every day during the week. On the weekends I cycle and still compete. Early on, there’s more of a desire to get that reassurance from the people you’re leading that they like you and you’re doing the right thing. The more I’ve grown, the more I’ve begun to see that it is your action and reactions to situations that people look at and value the most. They’re looking at you to be more of a decisive, consistent leader. “Five Dysfunctions of a Team: A Leadership Fable” by Patrick Lencioni. It is about the different personalities and attitudes that people bring to the table. You can apply that to any team.